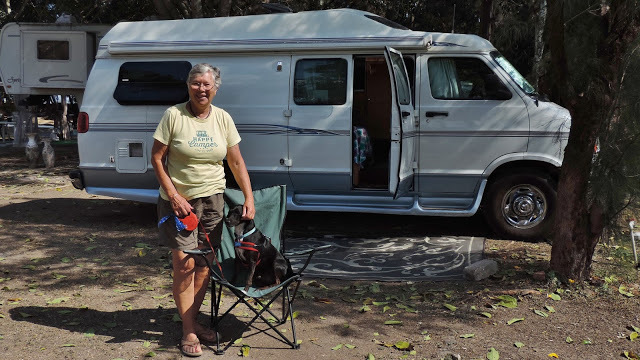 Danielle (68) is originally from the area around Los Angeles, California, and is currently living full time in her class B van....although she calls Reno, Nevada home. What prompted you to do this caravan? I had previously visited Baja California in my van, but I wanted to see the mainland of Mexico, and I was concerned about safety traveling alone. That concern has been alleviated. This is my first caravan, and it exceeded my expectations. I have seen places that I would have never seen on my own. I love Mexico, especially the people and the easy going, friendly lifestyle. Have you felt safe travelling around Mexico? What has been your favorite experience, or highlight of the trip? The night walk with the wandering minstrels around Guanajuato. Would you return to travel by yourself or with another caravan?